October 14th is finally here, folks! Apple has launched the iPhone 4S in select countries and people are going nuts for a unit. The iPhone 4S, as our dear readers will know, was announced over a week ago at Apple’s Lets Talk iPhone event at Apple Town Hall in the company’s own headquarters in Cupertino, California. Early response to the phone was apparently mixed (mostly negative, really) but the general public is simply going wild for the iPhone 4S. This is Apple’s most successful iPhone launch yet, as stated in a press release where it was announced that the iPhone 4S received more than a million pre-orders in its first 24 hours alone. The demand is so huge, in fact, that all three US wireless carriers (AT&T, Verizon and Sprint) are sold out. The apparent mixed response stemmed from how the iPhone 4S looked exactly like the 17 month old iPhone 4. We don’t mind Apple reusing the iPhone 4’s design, really, since it is simply timeless. Apple doesn’t redesign products for the sake of a redesign, they only do it when they think the design can be improved upon in some way which, it appears, they couldn’t do this time around. The insides of the iPhone 4S are pretty much exactly what we were expecting from the strongly rumored “iPhone 5”: Best in class camera that rivals dedicated point-and-shoot cameras? Check. Voice recognition technology that is unlike anything we’ve ever seen before? Check. Powerful dual-core A5 chip that beats all other Android phones (including recently released powerhouses like the Galaxy S II and Droid Bionic)? Checkmate. Reviews for the iPhone 4S are already up on different websites. Stephen rounded them up in this handy post which you should definitely check out. We’ll talk about our own impression of the iPhone 4S as soon as we get our hands on a unit. 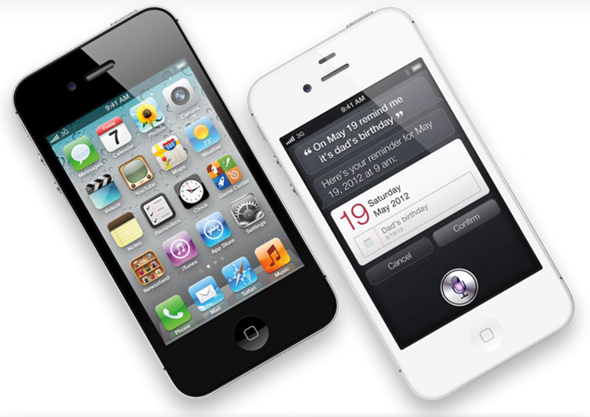 There are three models of the iPhone 4S available based on internal storage: 16GB ($199), 32GB ($299) and 64GB ($399). There are two colors available: black and white. It is available on three carriers in the US: AT&T, Verizon and Sprint on a two-year contract. 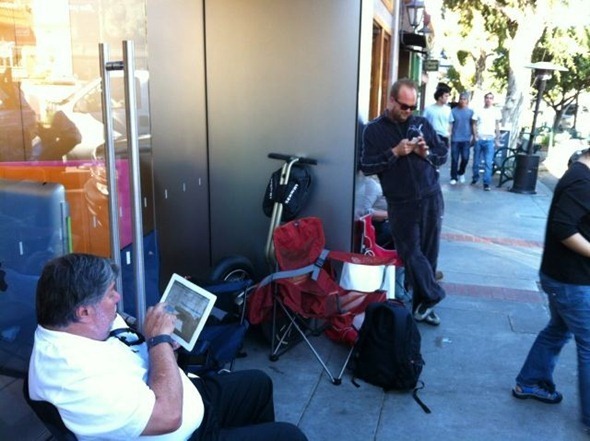 If you didn’t pre-order yourself an iPhone 4S earlier or didn’t wait in line at an Apple Store (or the store of supported wireless carrier) for one, chances are you’ll have to wait a couple of weeks before you can get your hands on a unit. Demand is extraordinarily high and Apple can’t pump out enough units to meet it.